Kim Jong Un's chaotic temperament has been obvious for years and could be seen in how he treated his teenage sweetheart aged 15, a Korean security expert has said. Nam Sung Wook, a former director of the Institute for National Security Strategy (INSS) think tank on inter-Korean studies, said that a story he picked up from Kim's schooldays shows how he was prone to rage as a teen. Nam said Kim's unnamed high-school flame tried to persuade him to stop smoking and got the same kind of furious response with which the world's leaders are becoming ever more familiar. "As Kim was smoking at a young age, his girlfriend advised him to quit smoking," Nam told a political-party conference in Seoul on Wednesday, as cited by Korea's Yonhap News. "Then, Kim exploded with foul language, which was quite shocking [to her]." "This rough manner he displayed made me think things would get complicated once he becomes the 'king' of the nation," he added, according to the Korea Herald. Nam believes that Kim's personality flaws are so severe that the only way to resolve the tensions in Korea is for him to be "eliminated." He learned about Kim's background by dispatching a research team from his think tank in 2008 to Bern, Switzerland, where the dictator-to-be attended the International School of Berne. He now works as a professor of Korean Unification, Diplomacy, and Security at Seoul’s Korea University. It was during this trip that they were told about the putative leader's teenage temperament. North Korea last week claimed to have developed its sixth and largest nuclear test, a hydrogen bomb that could launch thousands of miles. 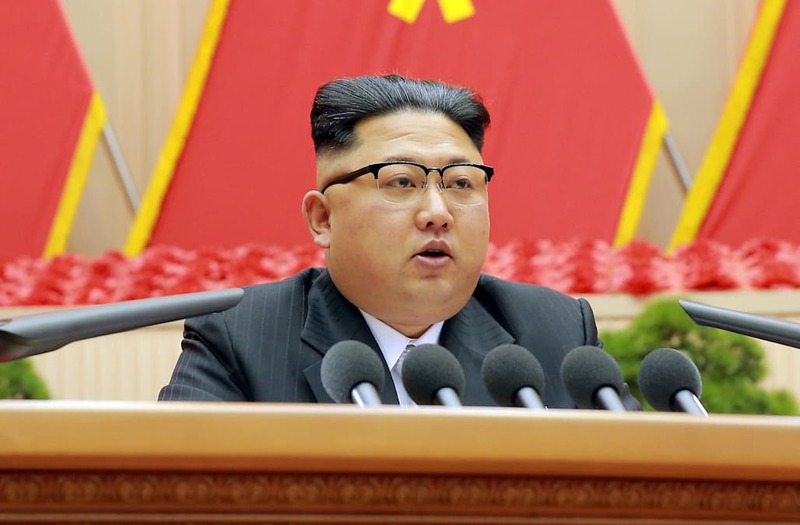 "The latest development is largely attributable to Kim's wild character," he said. "If Kim is not eliminated, this issue will persist." South Korea is establishing a special unit tasked with eliminating Kim Jong Un and other North Korean leaders, the Korea Herald reported. The task force, set to launch on December 1, is expected to work with US special units that were involved in the mission to kill Osama bin Laden. Kim Jong Il, the current leader's father and predecessor, started grooming Jong Un as his successor after he suffered a stroke in August 2008, Yonhap said. Kim Jong Il died in December 2011. Kim Jong Un is his father's third son and thus not an apparent heir to the Supreme Leadership. But his oldest brother, Kim Jong Nam, had been living in exile, in Macau, for years, according to Reuters. He was killed this February in Kuala Lumpur, Malaysia, in a plot that US and South Korean officials believe orchestrated by Kim Jong Un's regime. The second brother, Kim Jong Chul, was passed over because Kim Jong Il believed him "no good because he is like a little girl," according to Kim Jong Il's personal chef. Nam told the party conference that Kim Jong Chul suffered from an excess of female hormones after a car accident, according to Yonhap. "At that time, I wished my prediction [that Kim would become Supreme Leader of North Korea] would not be right," Nam said, according to Yonhap. "Unfortunately, however, it has come true."